So, after receiving your beautiful flower bouquet delivery from Code Bloom, how do you go about caring for them? Here are a few hints on how to care for cut flowers and keep them going strong for the longest time possible. Keep them in a cool place – make sure they aren’t in direct heat from a window or heater, this will shorten the life span of the flowers and cause them to wilt earlier than they would normally. Refresh the water – every few days check the water in the vase. Draining and replacing the water with fresh water is a great idea. Make sure each stem is always in water too. Re-cut the stems – trimming the stems back a few cms every few days will help the absorb water better. Cutting on a diagonal angle is best for them. 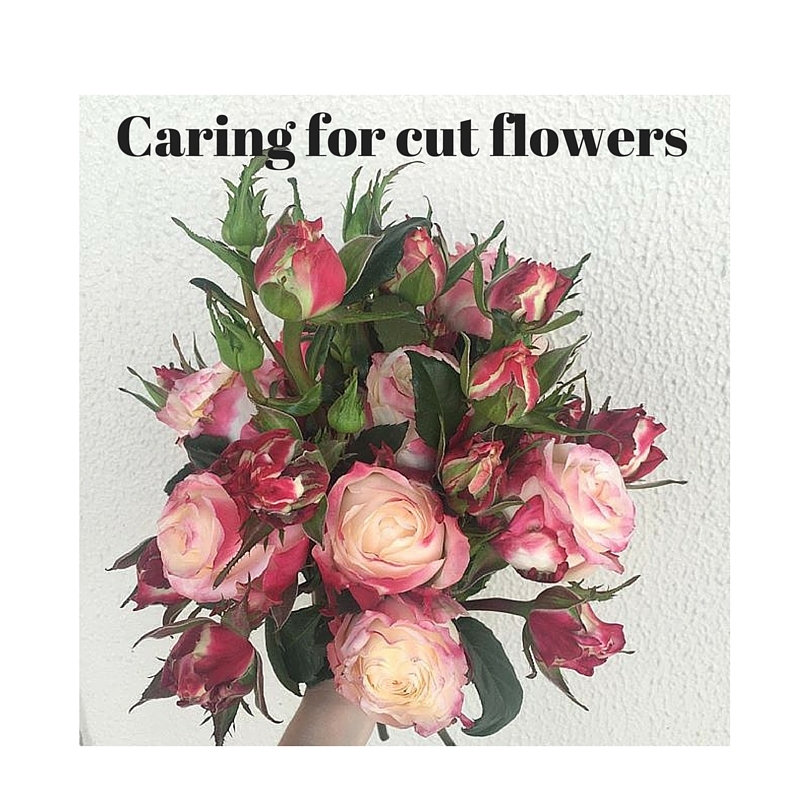 Remove dead or wilting leaves or flowers – as some of the flowers or leaves start to wilt or die simply cut them off to ensure the rest of the flowers continue to thrive. Remember that each flower type has a different flower life expectancy so don’t be surprised if there are some that die early and others that just keep on going! If you have any queries at all about flower life spans you can always speak to our lovely florists at Mt Hawthorn or Karrinyup who will be able to help you with any questions you have.